Recently, we've been to the local hospital a couple of times. Nothing to worry about, just a few routine tests. Each time I've stopped by the Second Cup (501 Smyth Road, Ottawa) on the first floor for a cup of coffee. Located just behind the escalators to the second floor in patient and emergency room and yet just before the elevators, this coffee shop is in the perhaps the most convenient location in the entire hospital for a coffee shop. Added to this convenience, according to the Second Cup website, this location is open 24 hours a day, 7 days a week. This past week we ventured in the morning. 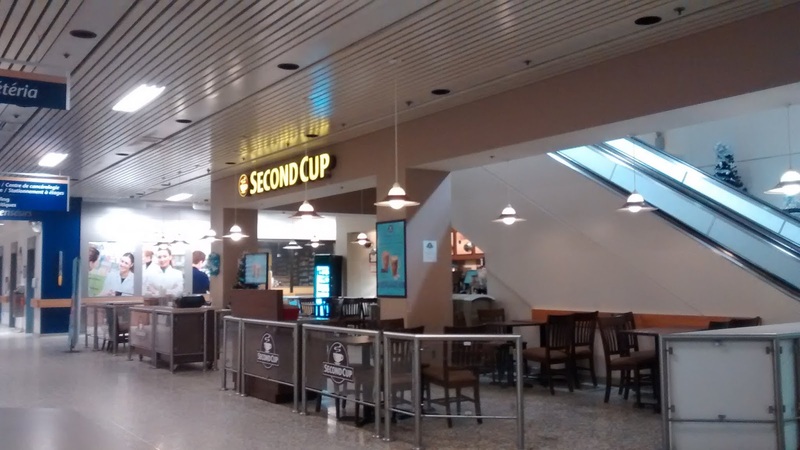 The only bad time to attend this Second Cup is during regular hospital staff shift changes. These shift changes result in hospital staff grabbing their coffees before or after their shifts. This Second Cup location also provides the full suite of services of a regular Second Cup which is different than other hospitals I've been to. Usually hospital coffee service locations have stripped down minimal donuts or baked goods with coffee served up by hospital unionized employees. This location provides a full selection of Second Cup baked goods and at least 6 different flavoured coffees on a daily basis. On our recent visit, I waited about three minutes in line behind 3 nurses who were just starting. But the line behind me gradually grew. There were three servers behind the counter working the full coffee bar, taking orders and mixing drinks. I was through in an impressive 5 minutes. The Order: 1 Belgian Chocolate Coffee. The Belgian Chocolate Coffee is perhaps my favourite coffee from Second Cup. A rich chocolaty flavour along with a strong, but dark roast, coffee flavour. Excellent smell and even better taste. Brewed right, like the Second Cup Ottawa Hospital location does, it's one of the better coffees I have. Overall, the Ottawa Hospital has a real credit to it's hospital food offerings in Second Cup. A full cafe seems to be doing well at the large General Campus. Perhaps this is due to the convenient location just inside the front door near the major traffic area to the elevators and just behind the escalators to the second floor. Coupled with decent steady service with coffee made to corporate specifications, this location is perhaps just what the Doctor ordered.